With hundreds of lawsuits involving vaginal mesh pending across the country, this is the first jury win for a woman who has suffered severe complications after undergoing vaginal mesh implant surgery. As many as 40% of American women will cope at some point with Stress Urinary Incontinence (SUI), a medical condition in which control of the bladder is reduced due to stress on the bladder, sometimes from childbirth. Pelvic Organ Prolapse (POP) is also very common and can result in serious medical issues that lead women to seek solutions. The medical products industry responded with surgical polypropylene mesh, or transvaginal mesh, products that address these issues that affect so many women. However, transvaginal mesh products like SUI slings and POP kits often induce a chronic foreign body inflammatory response that frequently leads to significant alteration or even destruction of pelvic tissue and nerves. If you have had a procedure to correct POP or SUI any time since 2002 and have experienced any of the above symptoms, contact Magaña, Cathcart & McCarthy at 310-553-6630, or fill out the form below. POP kits include the surgical mesh and the tools doctors use to implant the transvaginal mesh repair, are larger, and are anchored with arms. This is a poor design that is very difficult if not impossible to remove, and can leave women crippled or subject to several painful surgeries to repair POP kit damage. In addition to the poor design of POP kits, the material used to make surgical mesh was cleared using the 510(k) process which essentially “piggybacks” off a previous product, leaving many polypropylene products virtually untested for safety and efficacy. Many women who have had a transvaginal mesh procedure for Pelvic Organ Prolapse are unsure of the manufacturer of their implant. If you have any questions, please call Carter Spohn at 310-553-6630. 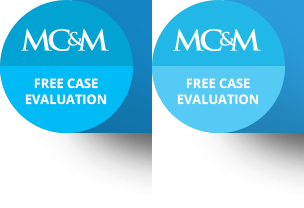 It is important that you contact Magaña, Cathcart & McCarthy right away to determine your specific case’s eligibility for compensation.